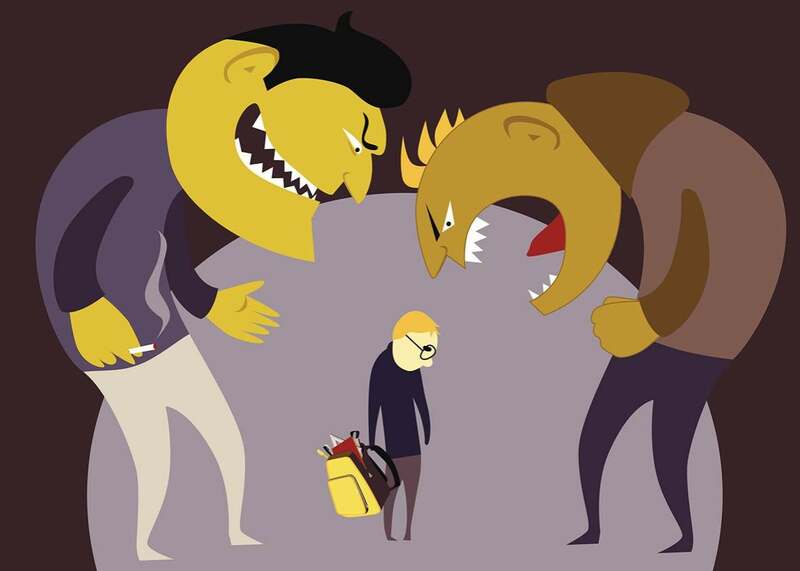 The lasting effects of childhood bullying are surprisingly not all detrimental in adulthood. One researcher who has interviewed hundreds of adults who were bullied as teens posits an interesting new theory. We know that we shouldn’t turn a blind eye: Research shows that bullying is corrosive to children’s mental health and well-being, with consequences ranging from trouble sleeping and skipping school to psychiatric problems, such as depression or psychosis, self-harm, and suicide. But the damage doesn’t stop there. You can’t just close the door on these experiences, says Ellen Walser deLara, a family therapist and professor of social work at Syracuse University, who has interviewed more than 800 people age 18 to 65 about the lasting effects of bullying. Over the years, deLara has seen a distinctive pattern emerge in adults who were intensely bullied. In her new book, Bullying Scars, she introduces a name for the set of symptoms she often encounters: adult post-bullying syndrome, or APBS. DeLara estimates that more than a third of the adults she’s spoken to who were bullied have this syndrome. She stresses that APBS is a description, not a diagnosis—she isn’t seeking to have APBS classified as a psychiatric disorder. “It needs considerably more research and other researchers to look at it to make sure that this is what we’re seeing,” deLara says. Roughly 1 in 3 students in the United States are bullied at school (figures on cyberbullying are less certain, because it is newer than other forms of bullying and the technology kids use to carry it out is constantly in flux). This abuse can span exclusion, rumors, name-calling, or physical harm. Some victims are isolated loners while others are bedeviled by their own friends or social rivals. Years after being mistreated, people with adult post-bullying syndrome commonly struggle with trust and self-esteem, and develop psychiatric problems, deLara’s research found. Some become people-pleasers, or rely on food, alcohol, or drugs to cope. In some respects, APBS is similar to post-traumatic stress disorder, or PTSD, in which people who have had terrifying experiences develop an impaired fight-or-flight response. Both APBS and PTSD can lead to lasting anger or anxiety, substance abuse, battered self-esteem, and relationship problems. One difference, though, is that people with APBS seem less prone to sudden flares of rage. “Those with PTSD have internalized their trauma such that it has affected their nervous system,” deLara says. “People with PTSD react immediately because their triggers are basically telling them they need to protect themselves against harm.” Those with APBS seem to have a longer fuse; the damage comes not in an outsized reaction but instead because they ruminate on what happened. DeLara observed another distinction between sufferers of PTSD and those with APBS: Sometimes, having been bullied seems to have positive outcomes. About 47 percent of deLara’s interviewees said they had mined something beneficial, like a sense of inner strength or self-reliance, from the experience. Others cultivated empathy or consciously decided to treat others well or make something of their lives. Everyone with APBS had at least one or more of these boons, deLara says. It’s unclear how much of this silver lining can be traced to genetics, and how much to a supportive family or community. “We don’t know the answer as to why some people who are bullied as children have what they consider to be a beneficial outcome as adults,” deLara says. She is planning to compare the recovery rates for people with PTSD and with APBS. One difference she saw in people with APBS is that they don’t see the world as a menacing place, as people with PTSD often do. Some people have an inborn sense of optimism, or ability to focus on how lucky they are to have left bullying behind them. These people might have a head start in bouncing back, but resilience can also be learned. For people with APBS, deLara recommends family and cognitive behavioral therapies, particularly those focused on trauma. Of course, the damage wrought by bullying handily outweighs any benefits. “Because people can make lemonade out of lemons, it doesn’t mean that bullying is a good thing,” deLara says. Even those who are able to see the positive side of having been bullied often had other negative ramifications. DeLara hopes that giving a name to these experiences will make it easier for people to find effective treatment. “In order to help someone you have to be able to clearly name what’s going on,” she says. Moreover, people who live with the symptoms of adult post-bullying syndrome don’t realize that they’re not the only ones to respond this way. One man told deLara that the idea of APBS helped him realize his reaction was normal and not another personality flaw. DeLara plans to continue studying the long-term consequences of bullying and which therapies can help people overcome them. Dieter Wolke, who has studied the psychiatric impacts of bullying in adults at the University of Warwick in Coventry, England, agrees that bullying can leave devastating, long-lasting psychological damage. He’s hesitant, however, about using a new term for these symptoms based on their cause. “I see not much value in inventing a new name,” he says. It’s more important, he says, for doctors to be trained to broach the subject of bullying with their patients. What is clear is that while some adults have overcome the bullying they endured as kids, others continue to suffer. The research on what forms this suffering takes is still preliminary. Whether or not the label of APBS sticks around, people who live with its symptoms will benefit from any research into how to resolve them.